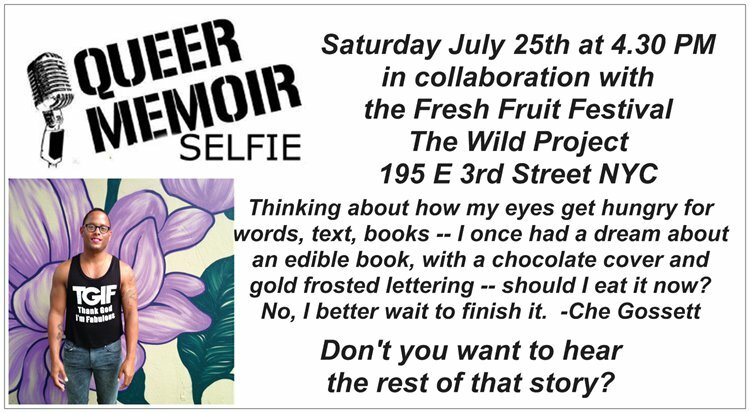 Although we often take off the summer from Queer Memoir events, this year we’ll be doing two shows during the months of June and July. 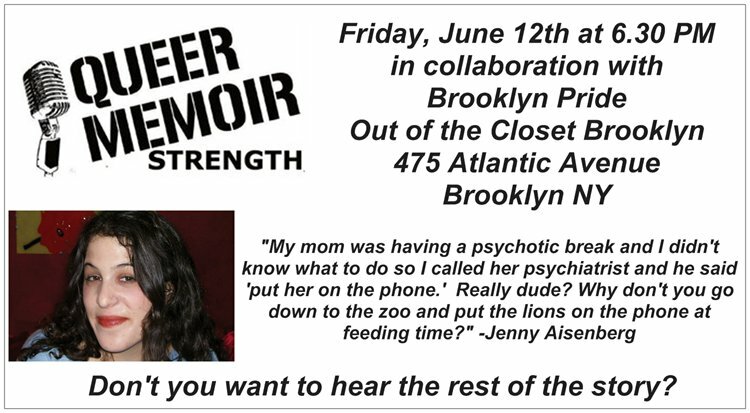 June saw us above the Out of the Closet Thrift Shop telling stories about STRENGTH, in collaboration with Brooklyn Pride. 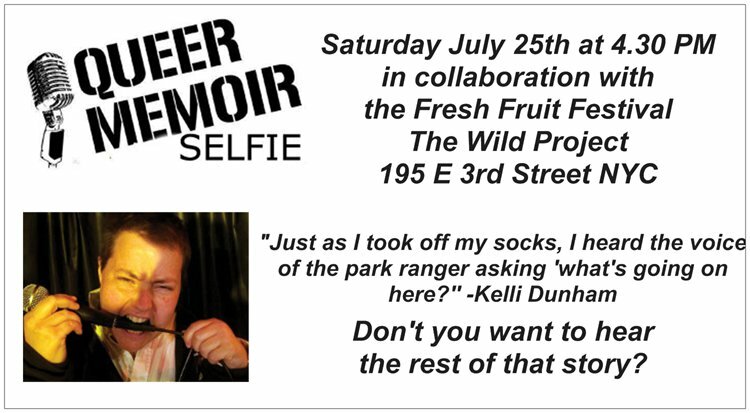 But for the end of July we have a very special treat: we’ll be talking about SELFIES at the Wild Project, in collaboration with the Fresh Fruit Festival. Che is a Black trans/femme, a proud theory queen and academic gossip girl who’s in an open relationship w/ academia and an intimate relationship w/ ideas. 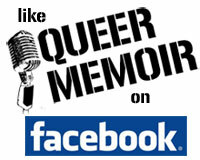 Zachary is a writer, performer, educator and cultural worker. He is a member of the Aftselokhes Spectacle Committee, The Man Meat Collective, and Jews for Racial & Economic Justice. Most recent written work include “Zelig Zisman,” published inInsatiable: Stories of Lesbian Desire; and “Sisters,” published in the Heels on Wheels forthcoming anthology. Originally from Argentina, Cecilia Gentili has embarked on an incredible journey of transformation, ultimately turning her into a widely respected advocate for trans rights in New York City. Currently, she serves as the Trans Health Coordinator for the APICHA Community Health Center, while continuing her work as a mentor and an advocate within her local community in Jackson Heights, Queens. She was also a contributor to Trans Bodies,Trans Selves, a resource guide for transgender and gender non-conforming populations and is a board member at PERSIST and TransLatina Network. Kip Davidson is the product of a family of artists. Writers, illustrators and painters abound, while drinking problems and bipolar disorder, acknowledged and denied, also run rampant. Kip has interest in the healing of difficult moments in life by addressing pain through written and visual expression. A former basketball player, leatherboy, graphic designer, burn survivor, and New England ocean enthusiast, Kip has discovered the power of play and nature as wonderful teachers in embracing life.